Hello guys, another awesome product want to introduce to you guys! I been loving this product since I got it from Markets 17 Last Year. It was my first time hear about this product. Josh Lee Fragrances is established in late August 2012 at George Town, Penang to fulfill his lifelong dream to have his own fragrance company which offers a variety of premium and niche fragrances as well as other beauty products such as personal care, body care and lifestyle home products later on. Josh Lee, the Perfume Master, works with World's Leading International Swiss Fragrance House, Firmenichto strictly choose the best natural ingredients from all four corners of the globe and to produce the highest quality of perfume oils which is approved by IFRA (The International Fragrance Association)standard. The core value of Josh Lee Fragrances is against animal testing and no animal ingredients are used in the fragrance products. When I first heard Josh Lee is a brand established in Malaysia I was really amaze by the hard work of his own work. From the packaging and fragrance wise, it does looks like a premium and quality brand of a fragrance. The price is really affordable too from price range of RM100 to RM 160. Let's talk about the packaging and the design of this bottle of fragrances. It was package with super classy white glass square bottle. 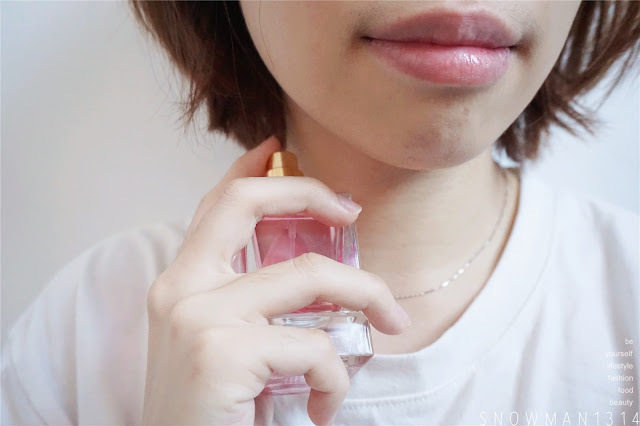 The Perfume itself comes in really light pink color. The package box was design with Peony, which I can say Peony is the Queen of Flower. Pink is the main color of NYONYA by Josh Lee. 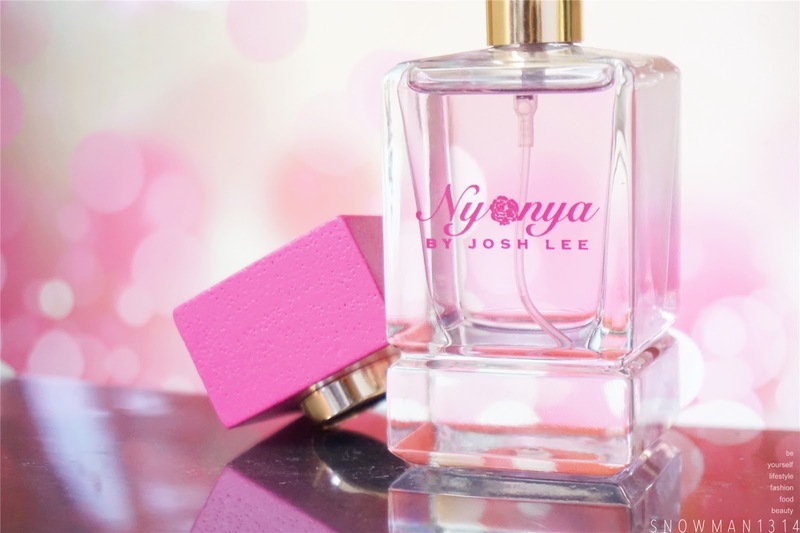 All the Parfum bottle of Josh Lee comes in rectangular bottle which it was the signature design bottle of Josh Lee as well. Nyonya is a Peranakan (Straits Chinese) woman of mixes Chinese and Malay/Indonesian heritage. 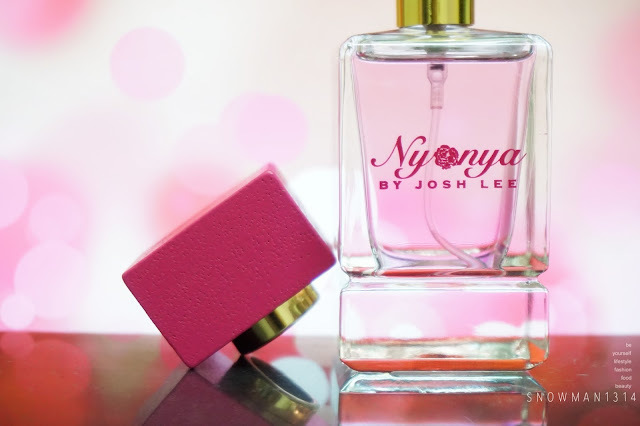 This fresh floral fragrance embodies the graceful femininity of a modern Nyonya. She embraces flowers as part of her culture; with rose and jasmine symbolizing her eternal beauty, lotus reflecting her purity, champaca expressing her eternal love while peony and orchid portraying her nobility. Open the cap, it was the spray head of the Fragrances comes in gold color head. The fragrances smell really good, mixed scent of fresh floral, which I really love because I always love the light scent of the fresh floral. If you are a fan of light fresh fragrances scent, this NYONYA by Josh Lee will be a great fragrances for you. I always spray it on my wrist and neck (Pulse Point Area) to have the scent last longer. There are some other places which recommend to spray too, such as collarbone, belly button, ears and etc where the pulse point are and where your body part feels the warmer the area is a best place for perfumes as well. If you want to more about their fragrances you visit their website. You can even order online with FREE Delivery (Limited Time Offer) in Malaysia which included Sabah and Sarawak. Thanks Sara for your support! It can last for 4-5 hours! Thanks love! first time heard about this brand. It sounds so Malaysian to me and I really wanna get my hand of this perfume. I wanna smell it. The packaging also look gorgeous! Wonder who is Josh lee? cute bottle, how much is it? I like fresh floral scents even my mom like it, shall check this soon. 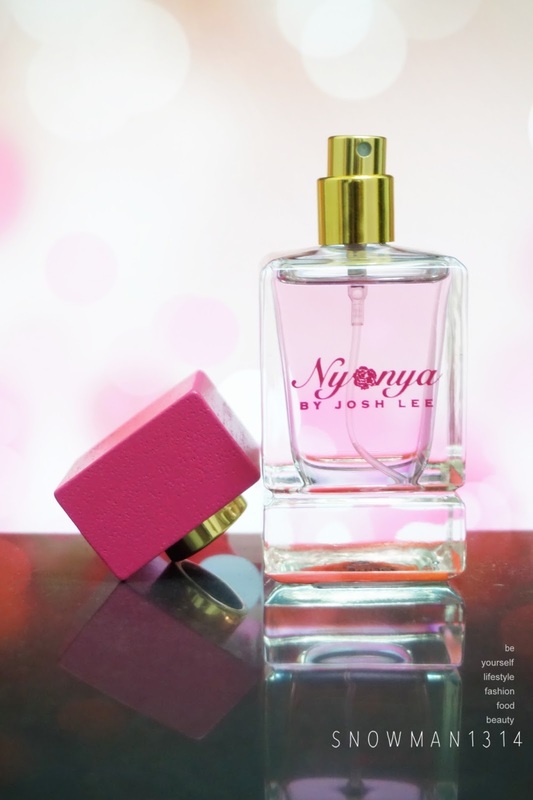 Nyonya in Bahasa Indonesia means Mrs :D the packaging is great for kind of affordable product. I'm not into floral smell but are they have another smell? 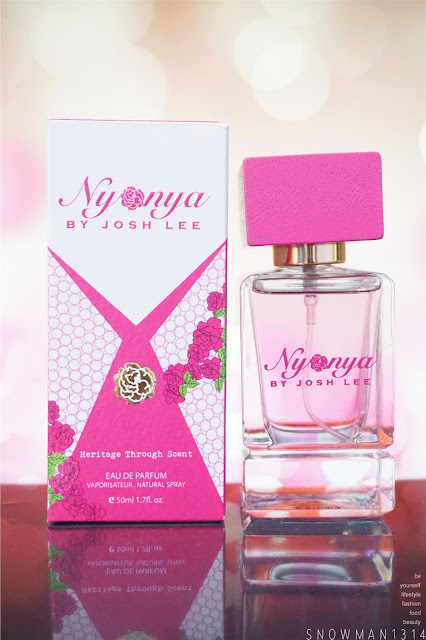 I've heard of Josh lee before but not Nyonya. Somehow, it is difficult for me to wrap my brain around Nyonya fragrance. It's more about food, in my mind. Yea you are right in point too! Because we have been less understanding about Nyonya that's why! The name is very rare and unique! I would to try it! Never heard of that brand before until I saw your post! This is one of my fave scents from Josh Lee fragrances! I wanted to try other scents too! never heard this brand before. The fragrance name Nyonya make me link to food.. Hahahaha.. It caught my attention that's because i am half nyonya but honestly we dont smell like that haha! Wow such an unique name for a fragrance. Love the classy packaging too. the name.. nyonya. it's bound to happen, fragrance which border on something close to our heart. Never heard of this brand before but so long as they have a mild scent i'm all up for it. Thanks for sharing! 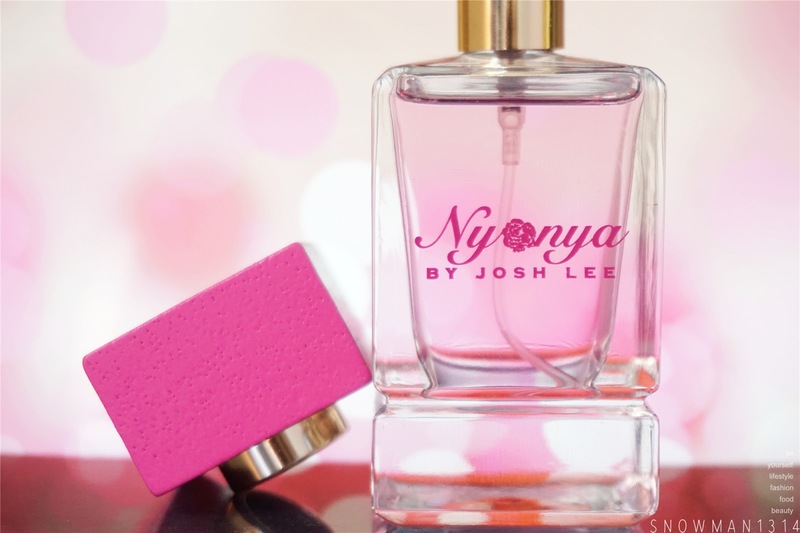 =D Josh Lee Fragrances has some other scent too!